Once upon a time, the Scarecrow's only wish was to have a brain. This digital original novella is the fifth installment in the prequel arc to the edgy and thrilling Dorothy Must Die series, and follows the Scarecrow after he finally gets his wish. In Frank L. Baum's The Wonderful Wizard of Oz, the Scarecrow received the gift of a brain from the Wizard and was appointed the new ruler of Oz. 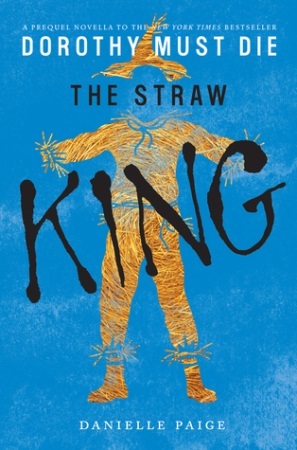 In The Straw King, the Scarecrow's tale takes a crooked turn when his reign is threatened. With faith in his newfound wisdom shaken, the Scarecrow will turn to anyone who can help – even if others have their own interests at heart.